We must press "Add" to choose all of the registration databases that we wish to compile together. For now we only have one registration database (fstimer_demo_registration_1.json), so we press "Add" and select it. The names of the registration files that we add show up in the field in the center of the window, and can be removed by selecting them and pressing "Remove." After we have added all of the registration databases to be compiled, we press "Merge." 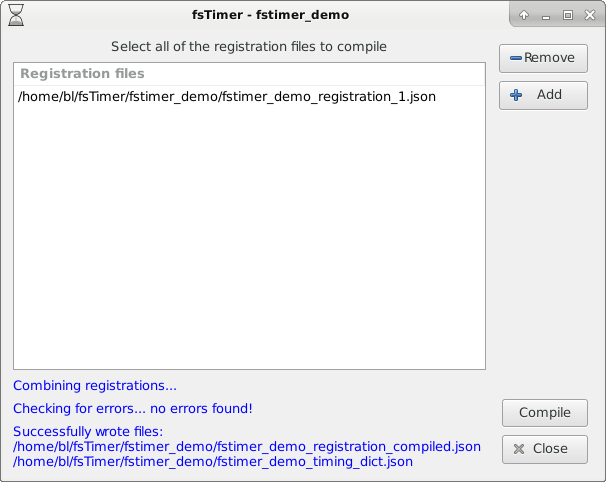 This will check for a certain type of database error (more details on that in Section 4.4), and will write two files: the compiled registration, and the timing dictionary. 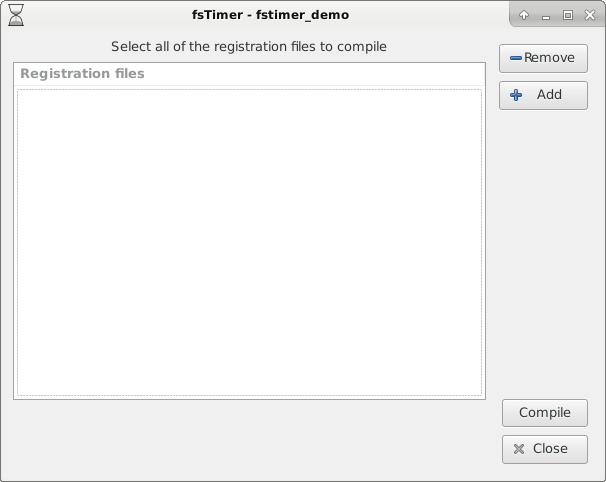 The compiled registration is an fsTimer registration database that can be opened using the Register window just as any other fsTimer registration database, except it now contains the information merged across all of the input databases. The timing dictionary is a special file that is required for race timing. Continue on to Section 2.5 Race timing.